Set on the site of the former Bal Harbour Beach Club, Oceana Bal Harbour is the pinnacle destination for contemporary luxury living. A paradise with unobstructed views of South Florida beaches, the ocean and Biscayne Bay. The ultra-luxurious highrise, designed by Arquitectonica, features only 239 residences in a 28 story twin tower building. 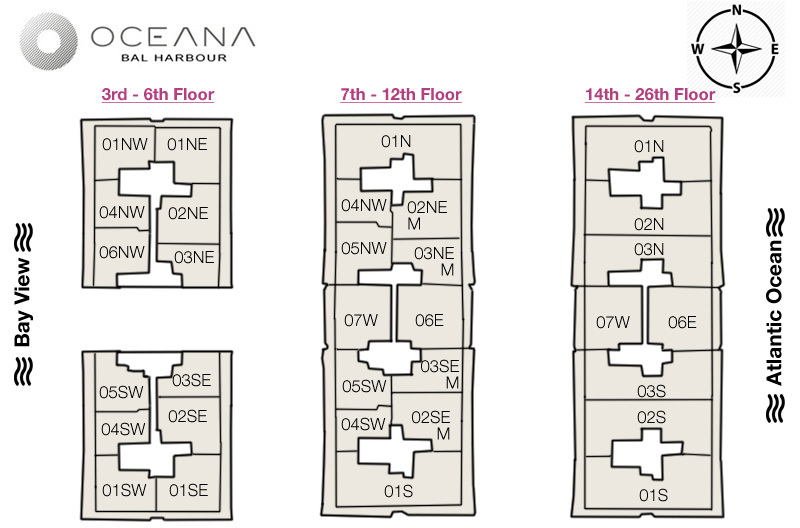 Oceana Bal Harbour features one, two, three and four bedroom condos with higher floor larger penthouse also available. It includes a grand lobby, full spa, restaurant, and two pools and tennis courts exclusive for the enjoyment of residents and members.